It has been a while since I have posted something, so here are some pictures of my Lamborghini Miura. Enjoy! 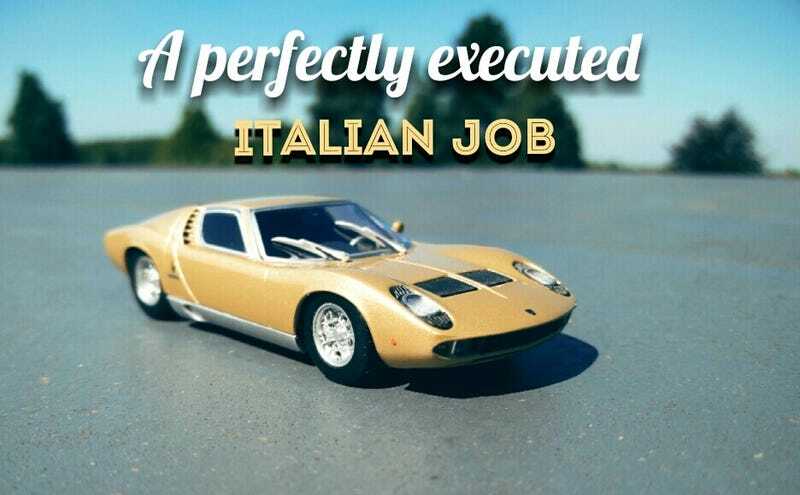 The Lamborghini Miura doesn’t need any introduction but every opportunity is good to watch the introduction of Micheal Caine’s ‘The Italian Job’. This Miura P400S diecast is 1:43 and made by Minichamps. The diecast is a limited edition of 2010 pieces and part of the ‘Museo Lamborghini, La Collezione di Sant’Agata’ series. Thanks for watching, I hope you have enjoyed this post! I made it on Jalopnik!